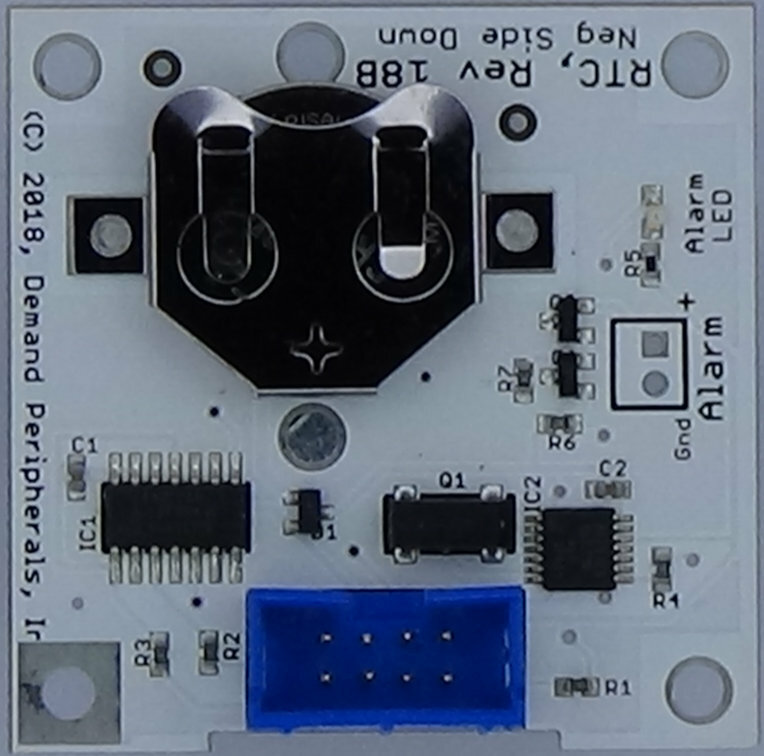 The Real-Time Clock card (RTC) uses the NXP PCF2123 and a CR2032 battery to keep time of day when your robot is off. It has an active low alarm output that can turn on your robot or automation at a preset time. The alarm output is designed specifically to driver the remote-on input on the PD25 and PD15 cards. The schematic and layout of the RTC are shown below. 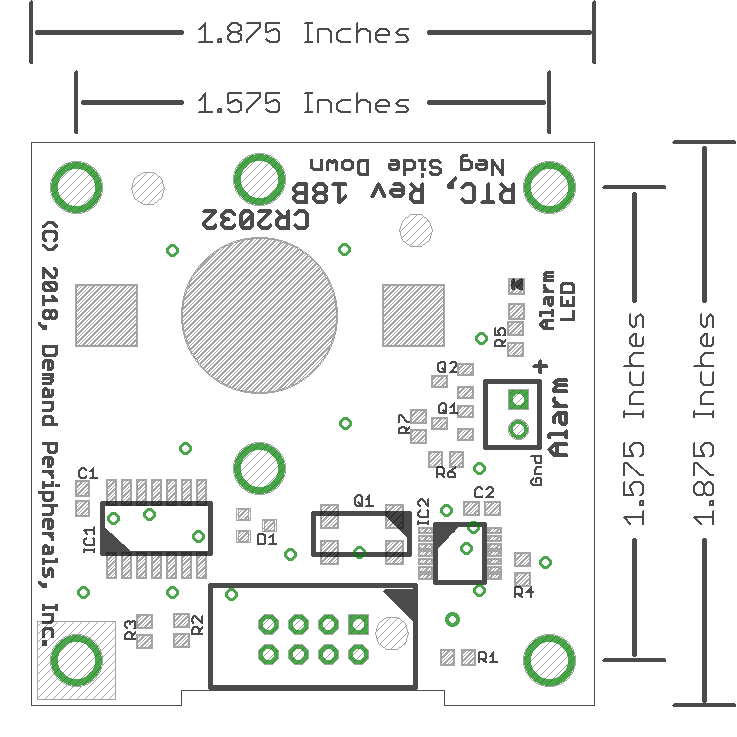 The Eagle schematic and board files are available here: rtc.sch and rtc.brd. The bill-of-materials file is available here: rtc.txt.